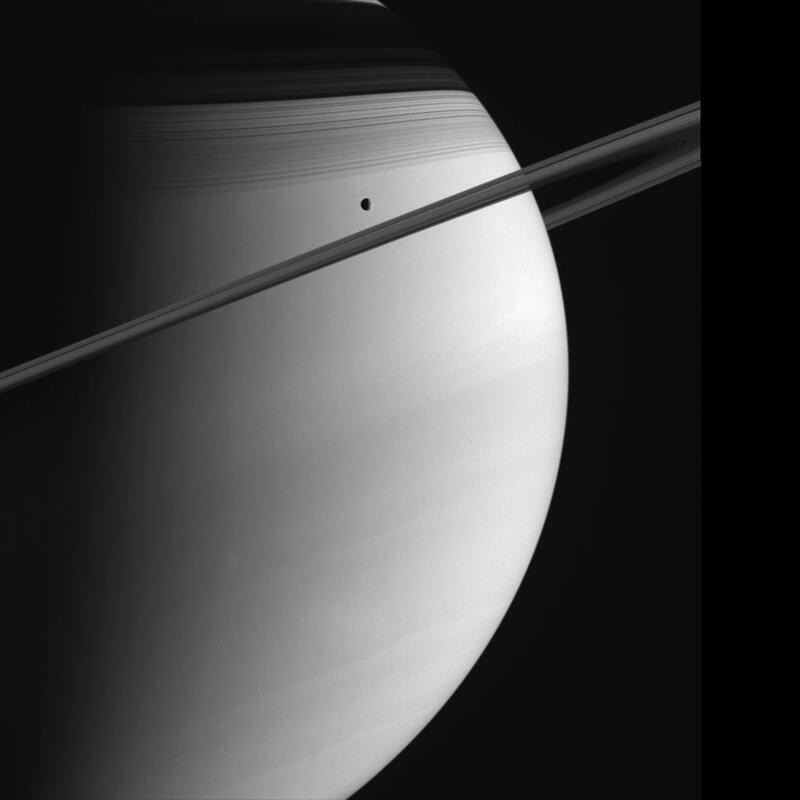 Saturn poses with Tethys in this Cassini view. The C ring casts thin, string-like shadows on the northern hemisphere. Above that lurks the shadow of the much denser B ring. Cloud bands in the atmosphere are subtly visible in the south. Tethys is 1,071 kilometers (665 miles) across. Cassini will perform a close flyby of Tethys on September 24, 2005. The image was taken on June 10, 2005, in visible green light with the Cassini spacecraft wide-angle camera at a distance of approximately 1.4 million kilometers (900,000 miles) from Saturn. The image scale is 81 kilometers (50 miles) per pixel.